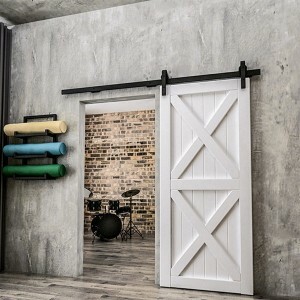 This hanging barn doors feature a modern twist on the popular two-panel barn door design. The two equal panels create a sense of uniformity and structure that work well with clean and modern spaces. The door itself is made with hand-selected wood, cross-grained rails and stiles to prevent warping, and is built to last.